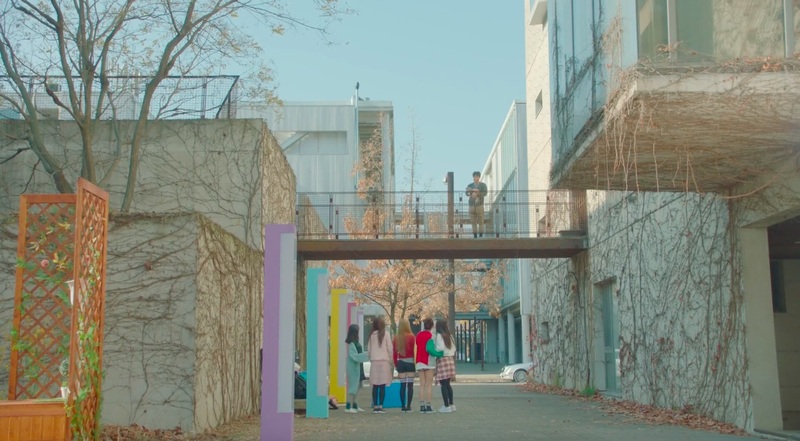 This café can be seen at a distance from Gyeoroo Publishing’s parking lot in episode 2 of Romance is a Bonus Book/Romance is a Supplement/How To Publish Love (로맨스는 별책부록) (tvN, 2019). 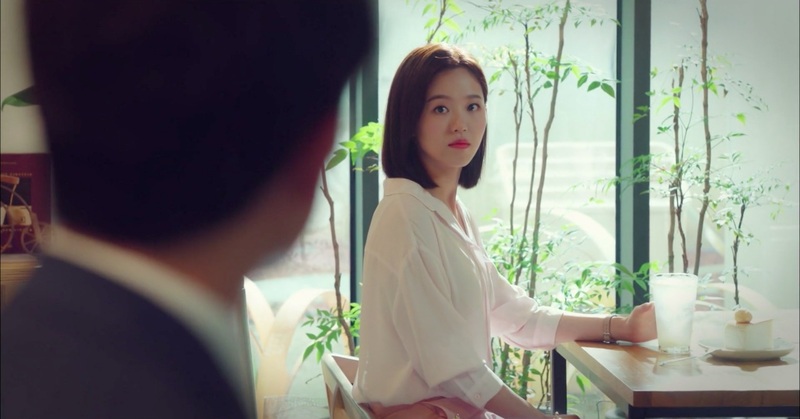 In the second alternate universe, Cha Joo-hyuk (Ji Sung) meets Lee Hye-won (Kang Han-na) at this café in episode 14 of Familiar Wife (아는 와이프) (tvN, 2018), after they run into each other when Joo-hyuk was on the way back to the bank from lunch. 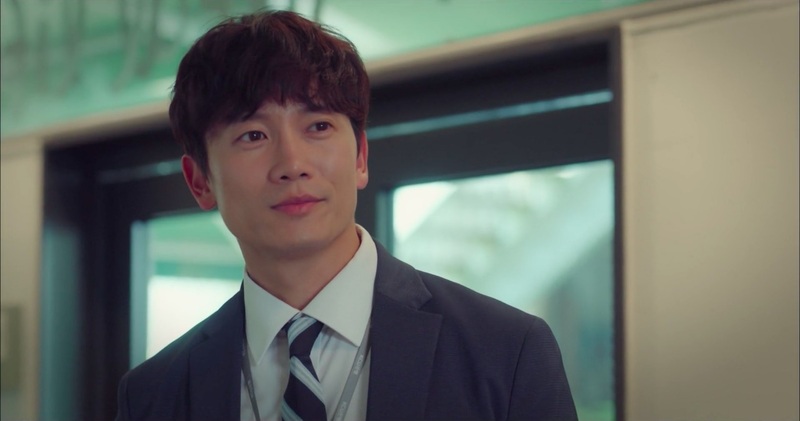 She confesses to him that she’d liked him back in college, but this time he chooses not to act upon it, and walks away instead. 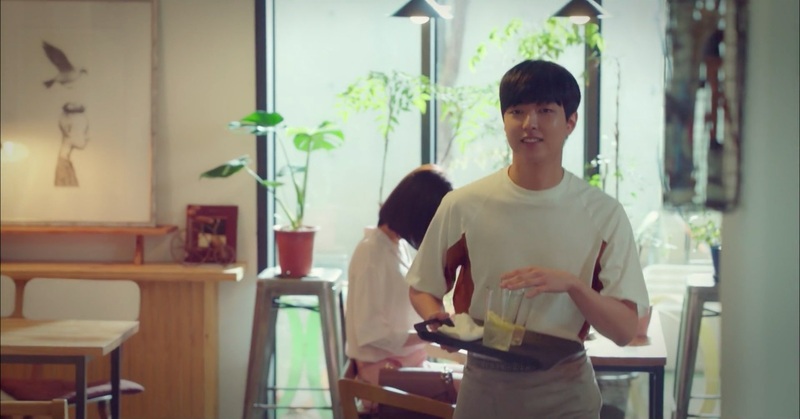 After he leaves, Hye-won spills water on herself by accident, and a waiter — who turns out to be Hyun-soo (Lee You-jin) — offers her a napkin. 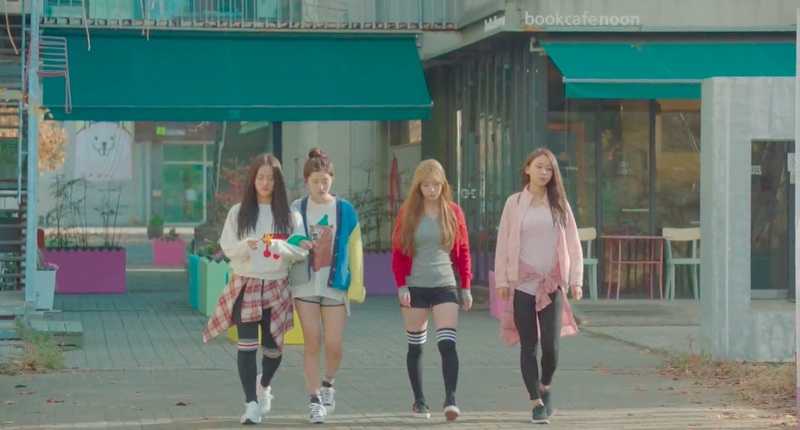 In The Idolmaster KR/The [email protected] (아이돌마스터.KR – 꿈을 드림) (SBS Plus/Amazon Prime, 2017), the girls visit this café numerous times. 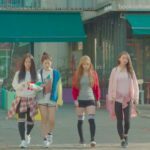 For example, Sori (Kim Sori of CocoSori) knits gloves here in episode 13. The ‘825 Entertainment Headquarters’ and the studio where the girls practice are located in the buildings that surround the café. Its courtyard is also present in most of episodes of the drama, and the main protagonists can often be seen walking through it or discussing their future plans in it. Bookcafe Noon [출판도시북카페눈 or 북카페눈 for short] is a café located in Paju Book City in Paju’s [파주시] neighborhood of Munbal-dong [문발동]. To note for The Idolmaster KR: the buildings surrounding this café are occupied mainly by book-related facilities and coffeehouses. It is thus possible that only the outdoor scenes were filmed in the courtyard and the indoor scenes were filmed somewhere else.